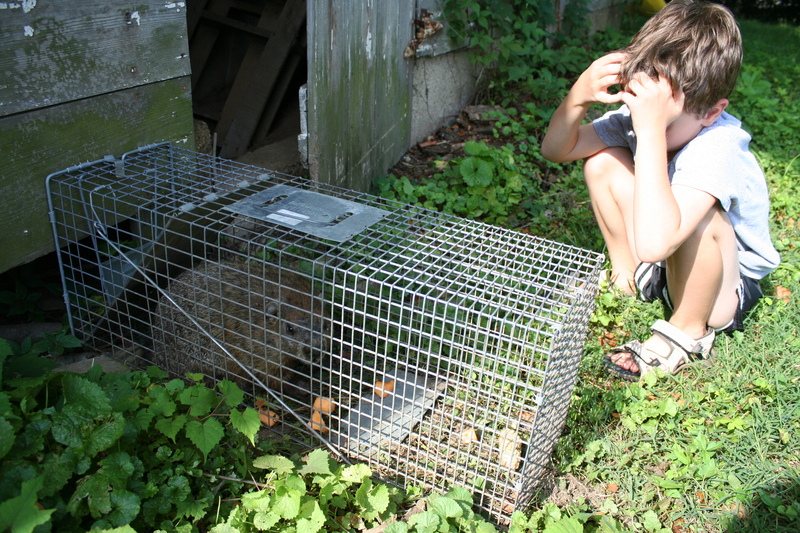 We caught the groundhog! 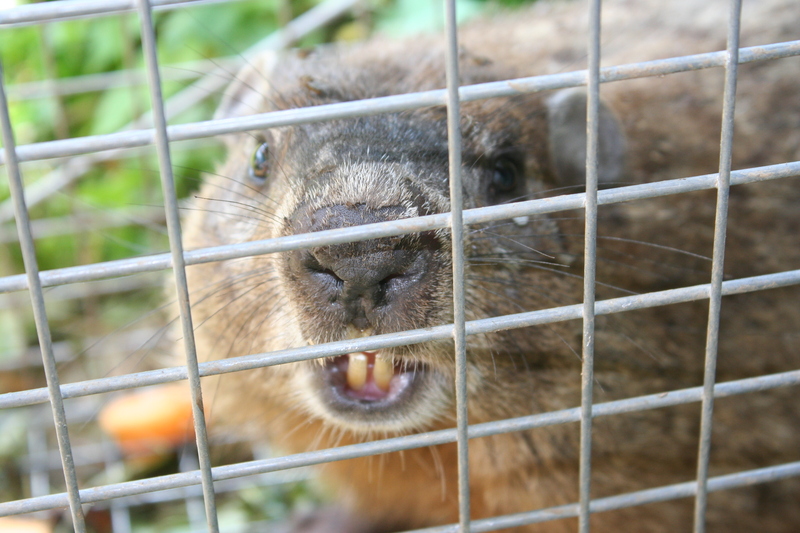 I’m sure this is just what Randy wants to deal with tonight–relocating the groundhog. 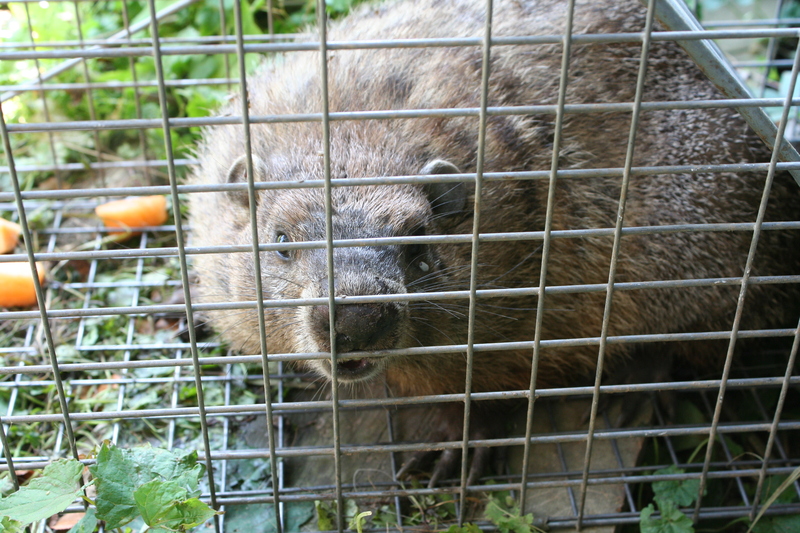 There’s so much growth going on in the area–neighborhoods, golf courses & shopping malls have taken the place of wooded areas where Randy’s taken critters in previous years. 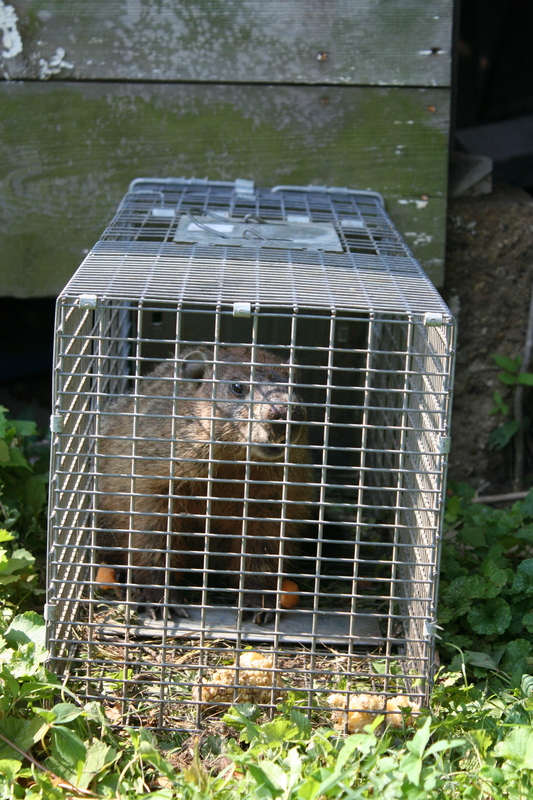 I'd set the trap right where I'd observed him entering & exiting the barn. He was less than interested in our cantaloupe peace offering. 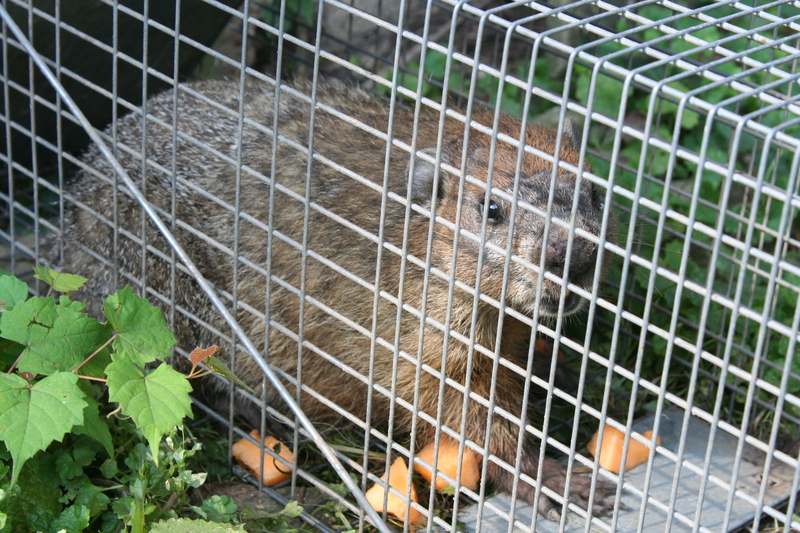 Crossing my fingers that he'll be the only groundhog of the summer.